The top court has, however, allowed the saffron party to hold rallies and meetings in the state. The BJP’s West Bengal unit had earlier approached the apex court seeking permission to hold the campaign ‘Save Democracy Rally’, which would cover 42 parliamentary constituencies in the state ahead of general elections to be held this year. 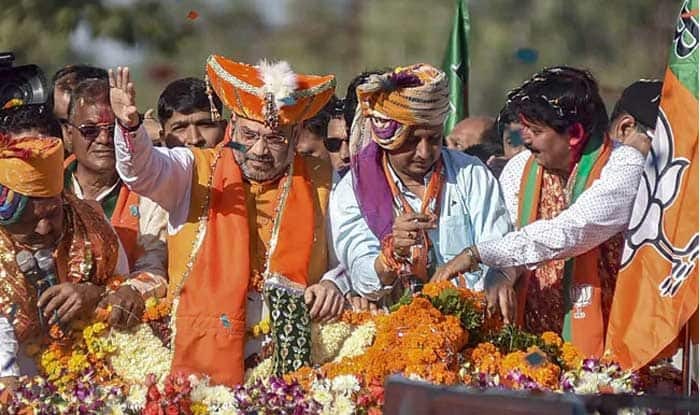 New Delhi: The Supreme Court Tuesday asked the Bharatiya Janata Party (BJP) to seek the West Bengal government’s approval for holding rath yatras in the state. The apex court asked the state government to decide BJP’s application for ‘rath yatra’. The top court has, however, allowed the saffron party to hold rallies and meetings in the state. The BJP’s West Bengal unit had approached the apex court seeking permission to hold the campaign ‘Save Democracy Rally’, which would cover 42 parliamentary constituencies in the state ahead of general elections to be held this year. In its plea, the BJP said their fundamental right to hold a peaceful yatra cannot be withheld. The WB BJP unit had challenged the December 21 order of a division bench of the high court which had set aside the order of a single judge allowing the yatra. In the plea, the BJP said their fundamental right to hold a peaceful yatra cannot be withheld. The high court’s division bench had sent the case back to the single judge to hear it afresh and also to consider intelligence inputs by state agencies. The order of the division bench had come after hearing an appeal moved by the West Bengal government challenging the order of the single judge. The plea had alleged that the state government was repeatedly “attacking” the fundamental right of citizens due to which different petitions were filed challenging the activities of the state government in denying permission to different organisations and the top court has allowed the citizens to organise their events. It has claimed that earlier also, permission was denied several times at the last moment to “harass the BJP” which later moved the high court and that the party “is facing such political vendetta since 2014 in West Bengal”. The party had planned to launch the yatra from three districts of the state. The yatras, according to the original schedule, were supposed to be flagged off by BJP president Amit Shah from Cooch Behar district on December 7, Kakdwip in South 24 Parganas on December 9, and from Tarapith temple in Birbhum on December 14.